Dry shampoo is almost a daily essential for me, especially when the weather gets warmer and the air more humid. I’ve never been a lover of the Batiste range, so I’m always on the lookout for what other brands have to offer. 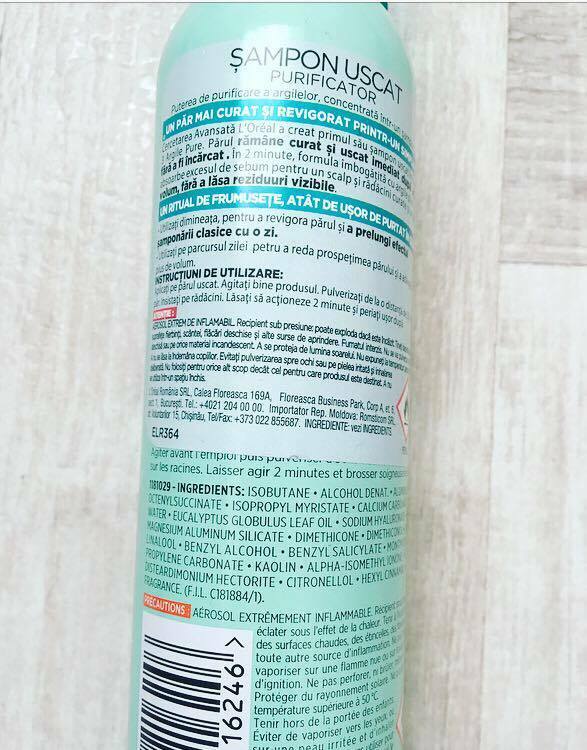 I recently discovered a new dry shampoo L'Oreal Paris Argile Extraordinaire and I wanted to share with you my opinion about this product. This range comes with another three products besides this dry shampoo, all containing three types of clay: white, blue and green. Like any other dry shampoo you must apply it on your roots from a distance of 30 cm after shakeing the spray can. This is one of the nicest dry shampoos I’ve found – the scent is fresh and delicate, one of my favourite scents. Without adding any excess residue or white cast off, this dry shampoo is great at reducing oils at the root as well as adding volume and texture, it’s like a good hair day in a bottle. 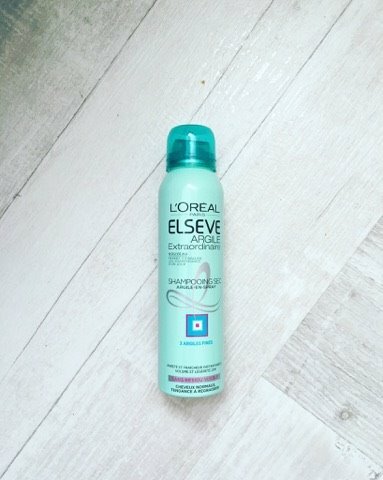 L’oreal isn’t a brand I reach for when it comes to hair styling products, but the more I try from their haircare section, the more I love it! Have you tried out anything from this range? Samponul uscat este aproape o necesitate zilnica pentru mine, mai ales cand incepe sa se incalzeasca si aerul devine mai umed. Nu am fost niciodata o fana a gamei Batiste, de aceea urmaresc mereu ceea ce alte branduri au de oferit. Recent am descoperit un nou sampon uscat si m-am gandit sa impartasesc si cu voi impresiile mele despre el. Aceasta gama, vine cu inca 3 produse pe langa samponul uscat, toate pe baza de trei argile: alba, albastra si verde. Acesta este unul dintre cele mai dragute sampoane uscate intalite, mirosul este fresh si delicat, unul dintre mirosurile mele preferate. Ca orice sampon uscat se aplica pe radacina parului de la o distanta de 30 cm, dupa o agitare a tubului. Fara a lasat impuritati sau urme albe pe par, acest sampon uscat este minunat atat in absorbirea grasimii de la radacini cat si in redarea volumului si a texturii parului. L'oreal nu este un brand pe care obisnuiam sa il folosesc in materie de styling, insa cu cat incerc mai multe produse din gama lor de ingrijire a parului, cu atat incep sa imi placa mai mult! Ati incerca produsele din aceasta gama?